It’s frustrating when your favorite flowers are here today gone tomorrow. Sometimes you may feel that if you blink you could miss that bloom that you’ve been waiting for. Thanks to the hard work of plant breeders, many short blooming flower favorites now have reblooming varieties. With little effort you can have flowers that bloom again. 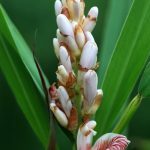 Reblooming plants are plants that produce more than one set of blooms in a growing season. This can occur naturally or as a result of specialized breeding. In nurseries and garden centers, plant tags will usually say reblooming or repeat bloomer on plant hybrids that rebloom. When in doubt, ask nursery workers about a plant’s blooming habits. Or look up the specific variety online. There are far too many varieties of reblooming plants to name them all. Perennials have the most reblooming varieties, though many shrubs and vines also are rebloomers. Twist and Shout and Bloomstruck are two varieties of reliable reblooming hydrangeas in the Endless Summer series. Bloomerang is a beautiful reblooming variety of Korean dwarf lilacs. 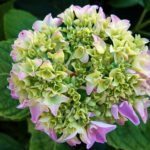 While the above mentioned roses and hydrangeas continually bloom from spring to fall, Bloomerang lilac blooms first in spring, then a second time in late summer-fall. Flowers that bloom again do not require much extra care. To encourage reblooming, deadhead spent blooms. In mid-summer, use a fertilizer with low nitrogen, like 5-10-5. This higher level of phosphorus promotes blooming. Too much nitrogen encourages only green, leafy foliage not blooms.